No matter how much you love your tailored trousers, pencil skirts and button-down shirts, an ethnic touch in your work wear never goes of style. Whether at a business conference or day at the desk, a crisp salwar kameez or kurta set is a comfortable and chic choice for office. And who better than Alia Bhatt to provide inspiration. 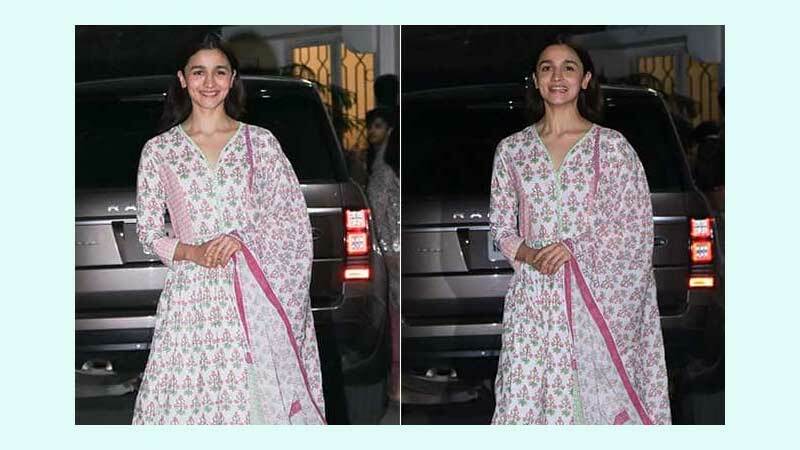 For a movie screening, Alia wore a pink, white and green floral printed salwarsuit with a matching dupatta and white kolhapuri sandals. 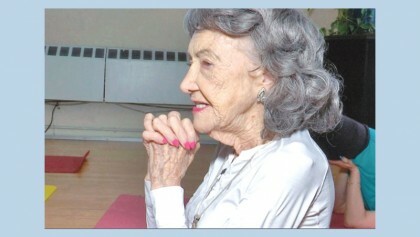 She looked lovely in the casual printed set, which convinced us enough to add it to our work wardrobe line-up. To add a similar garment like Alia Bhatt's to yours, choose from these 5 options. 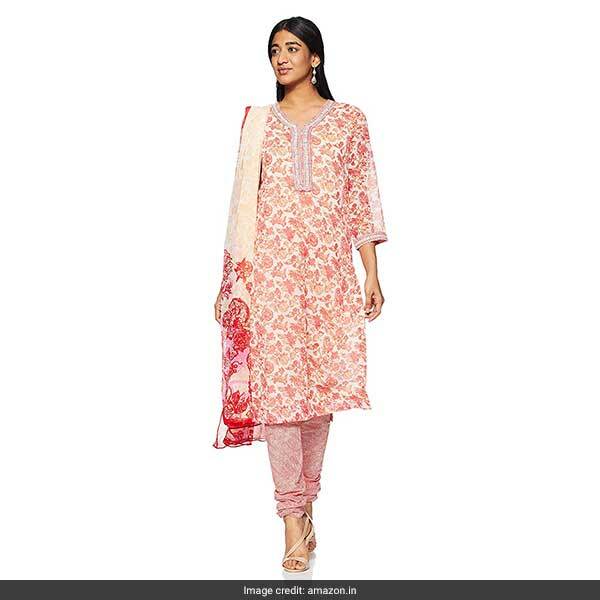 The Biba Straight Salwar is in similar tones to Alia Bhatt's with printed pieces in different shades of orange, pink, white and red. The Kanchnar Cotton Dress includes a 3-piece fabric set for a salwar, pants and dupatta in light blue and white with gold work over it. The Rajnandini Embroidered Dress Material Set includes a stunning mauve unstitched set of a cotton satin top, bottom and chiffon dupatta. 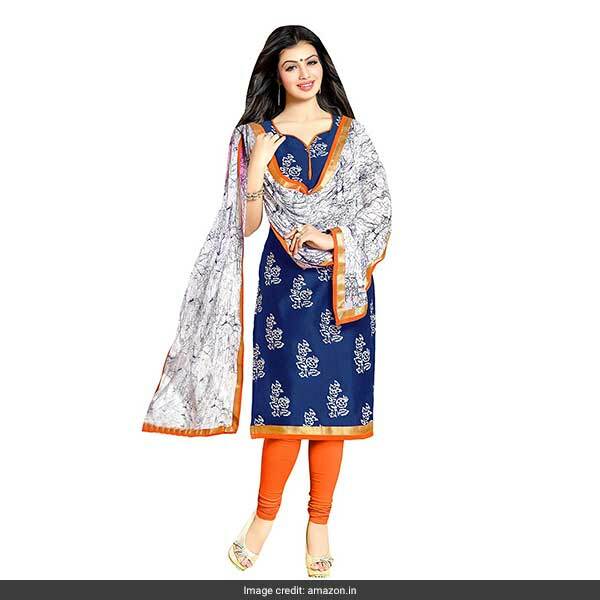 The Mrinalika Salwar Suit is an unstiched set that comes in bright printed blue and white with orange borders. 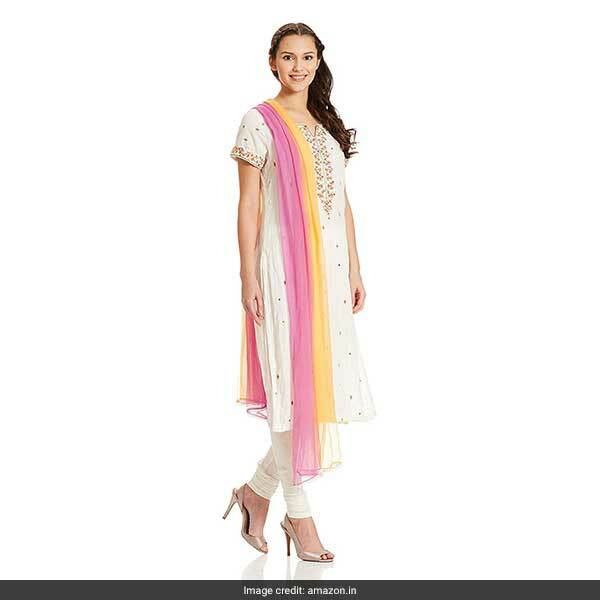 The Biba Salwar Suit includes a crisp white embroidered kurta and pants with a colourful dupatta. You can't go wrong at work with one of these suits.